Arkady Volsky, the founder and first head of the Russian Union of Industrialists and Entrepreneurs, would have turned 80 on May 15. 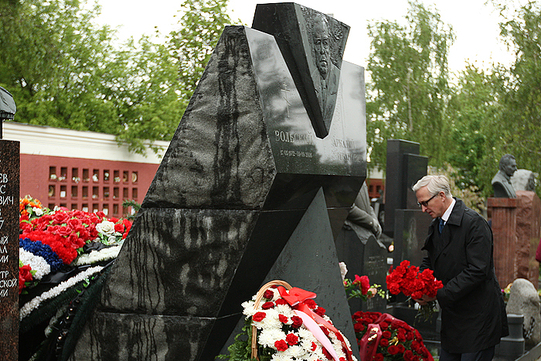 A gifted manager, Arkady Ivanovich played an important role in the post-Soviet Russian history putting a lot of his efforts into preserving and reviving national industries over the transition period in the 1990s, taking part in resolving ethnic conflicts, standing up for the freedom of the press and civilized political debate. Not for nothing was he nicknamed ‘the father of Russian business’ by his colleagues and various experts: in 1990 he created the USSR Science and Industry Union soon to be reorganized as the Russian Union of Industrialists and Entrepreneurs. For 15 years Arkady Ivanovich Volsky headed the RSPP promoting the interests of the grwoing entrepreneurship and blazing the path for state-of-the-art market economy in Russia. His life philosophy, broad outlook and expertise had combined to place Arkady Ivanovich among the most respected voices in the business community, government and public personalities. Part of his expertise was passed on to Russian business as a whole, which under the guidance of Arkady Volsky was able to take on board civilized business practices and new instruments for interaction with the government and the society as a whole.